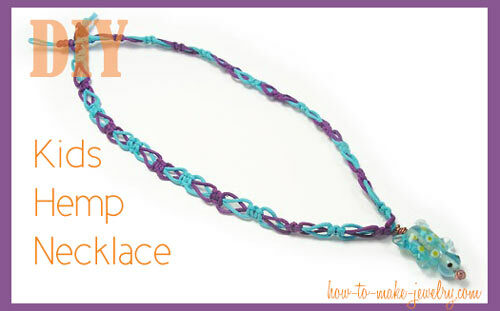 The switch knot is a decorative lacy macrame/hemp jewelry knot that helps you save on twine too. It's a great hemp saver because leaving lacy holes means you use less cord. This is an easy knot to learn. This macrame knotting tutorial shows you how to tie a switch knot with clear diagrams and instructions. To tie a switch knot, 4 cords are used - two knotters, and two fillers. The "knotters" are the working cords used to do the actual tying of the knots. The "fillers" are the cords around which the knotters are tied. To make this knot, you need to know how to make a square knot. In the picture below, I have tied 2 square knots in preparation for tying a switch knot. You need to already have some knots tied in order to make a switch knot. I hope I haven't made this sound too complicated. It really is easy. Let's begin. To start tying the switch knot, pull the filler cords apart, so that there is a gap in between them. Next, Bring each knotter over each filler so that the knotters now lie in between the filler cords. The filler cords have now switched places with the knotters. Now THEY become the knotters, and the knotters have become the fillers. (This switching of the cords is the actual switch knot). To secure your switch knot, make a square knot with your new knotting cords about 3/4 down from the last tied bit. This leaves a bit of a gap and forms the lacy look. Tug on the fillers a bit so that the lacy bits look even.That's all there is to the switch knot! You're done. 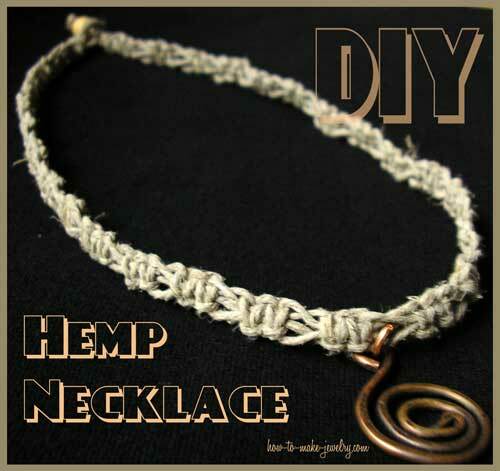 This is another switch knot hemp necklace pattern.